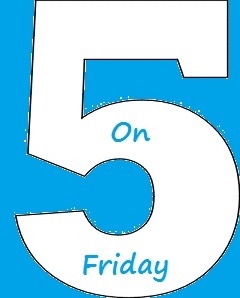 Today I post 5 Rod Stewart songs for Travis's meme "5 on Friday." Mandolin Wind is such a beautiful song. Thank you. I love that this "rocker" has made the commitment to record the Great American Songbook. Terrific tunes. I really appreciate that Mr Stewart has given so many great songs new life. Oh...the link you left on Mr Linky goes to your other blog instead of here. I thought you might want to know. Those songs sure do bring back memories. And made me smile. Thank you Mary! It has been a long time since I heard most of those. That was nice. I don't care who does it - "So Far Away" always brings a lump to my throat but I must admit that Rod certainly does it well. I first started listening to Rod Stewart in the mid-1970's and "Maggie May" and "You Wear It Well" were two of my favorites. Come to think of it, I liked a lot of his stuff including those you included here! Ooo, Mary - loved this set! Maggie May is my all-time favorite Rod Stewart song, but from your selection today Handbags + Gladrags and Mandolin Wind are my favorites.